Tomar Bhetor Theke Song Is Sung by Piya Chakraborty And Anupam Roy. 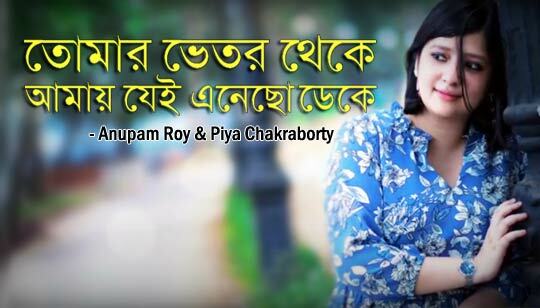 Tomar Vetor Theke Bengali Song Lyrics written by Anupam Roy And Piya. Song Recorded by Debojit Sengupta And Mixed mastered by Shomi Chatterjee. তুমি আমায় চেনো কি ? Tumi amay cheno ki ?